Our wines age a little slower at the cool tip of Africa. 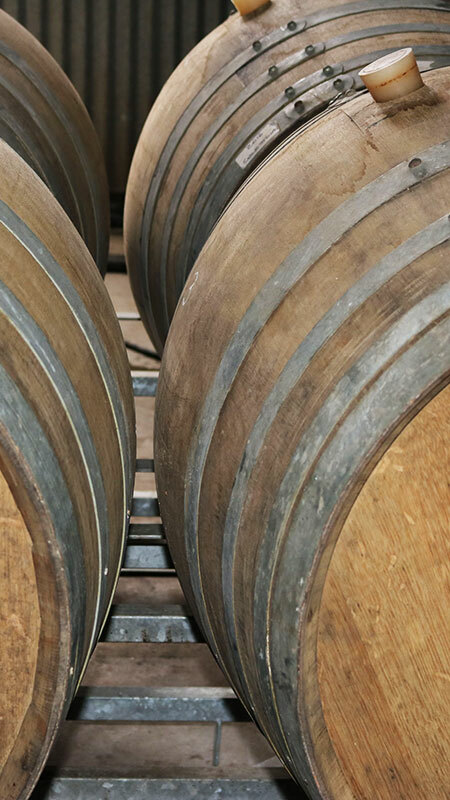 In the middle of our Black Oystercatcher cellar, you’ll find three distinct wine barrels. They’re prominently marked: Quartzite, Koffie klip (Iron ferricrete) and Broken shale. 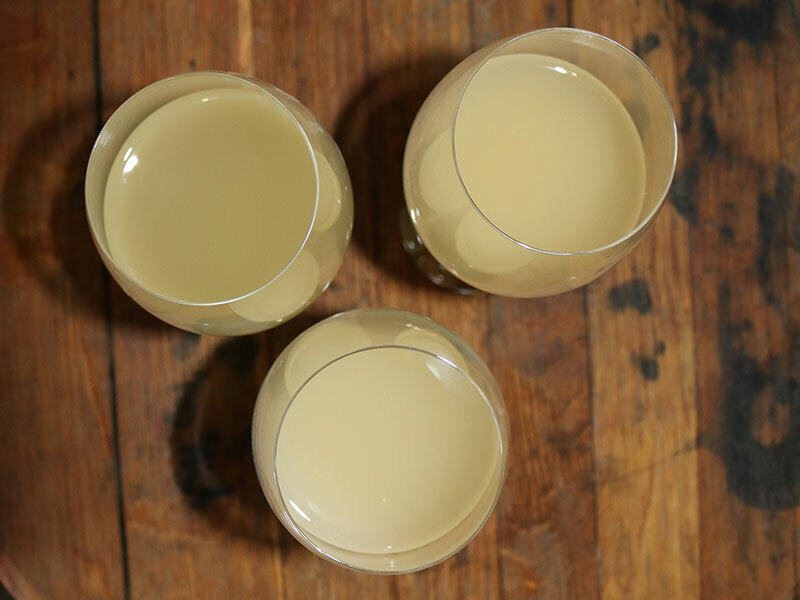 They’re our three Sauvignon blancs, harvested off the three soil types. 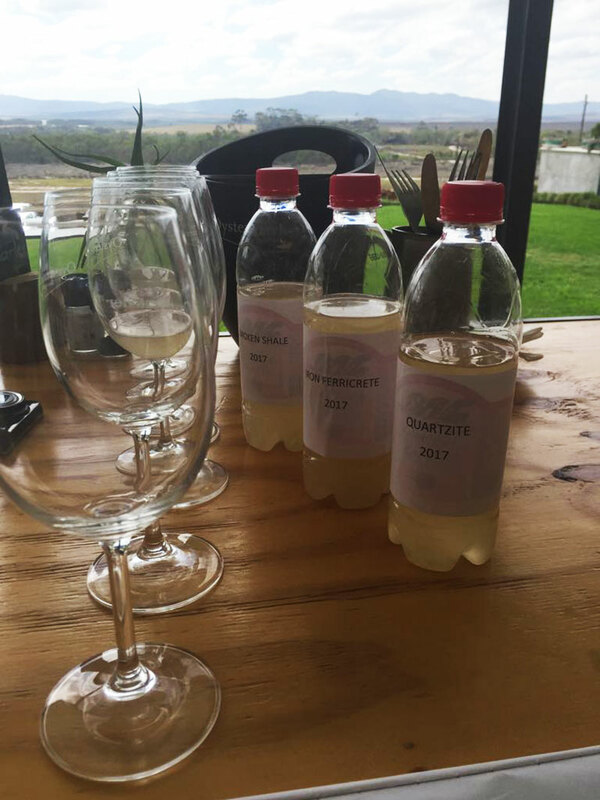 And they’re now entering the next stage, on the road to understanding what makes our Black Oystercatcher Sauvignon blanc so complex. The three Sauvignon blancs have now finished fermenting to dryness. That means the yeast has now consumed the sugar, so that there is less than 4 g/litre of residual sugar left. Even after fermentation, it’s important to still not let the wine make contact with oxygen. We do this by topping up the barrels until they’re completely full, and then securing the barrels with a rubber closure. 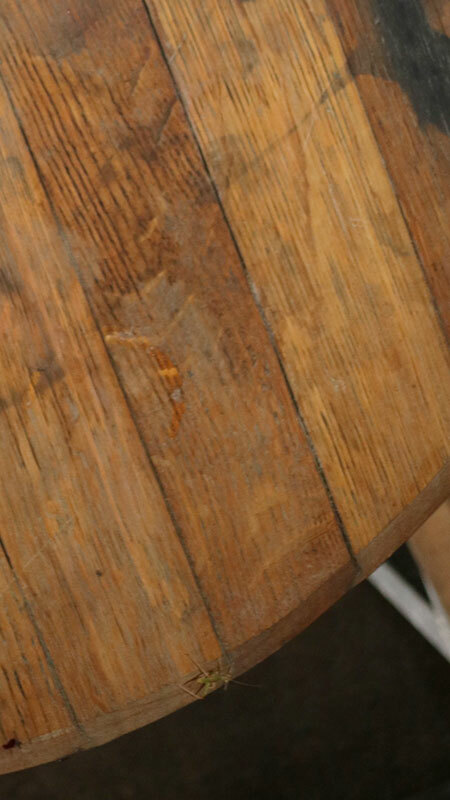 What happens while the wines age in the barrel? The action in the cellar has eased a little now. But that’s not the case for the wine. 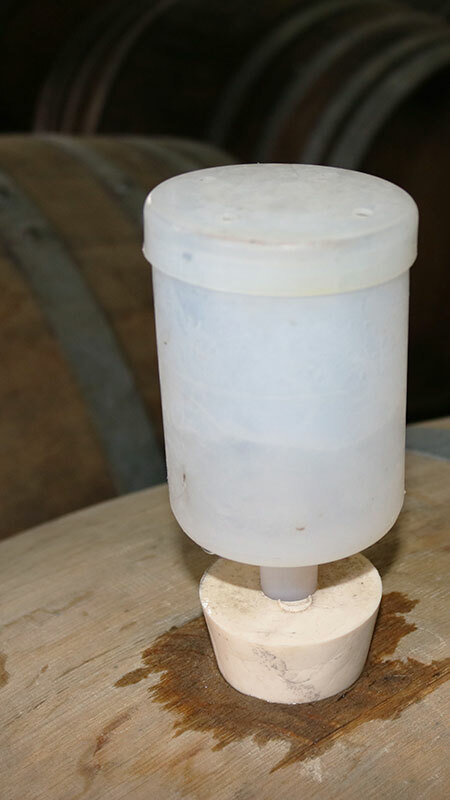 Inside the barrel, the wine sits on the yeast lees. That means that the yeast continues to decompose, and gives nut and yeast flavours to the wine. Why do cool-climate wines age well? Our Black Oystercatcher Sauvignon blanc takes a little longer to age. That allows the complex flavours to develop – with the wine improving with age. Here’s a touch of science: Our vineyards grow in a cool-climate area. The cool wind keeps the temperatures low in our vineyards, especially during the evening – and this cooler weather prevents grapes from losing their acidity. As a result, we produce wines with higher natural levels of acidity. We’ve also got a low pH – something that’s slightly different from looking at a wine’s acidity. What’s the difference? Acidity looks at how many acids are in the wine. pH on the other hand determines the intensity of the taste of those acids. 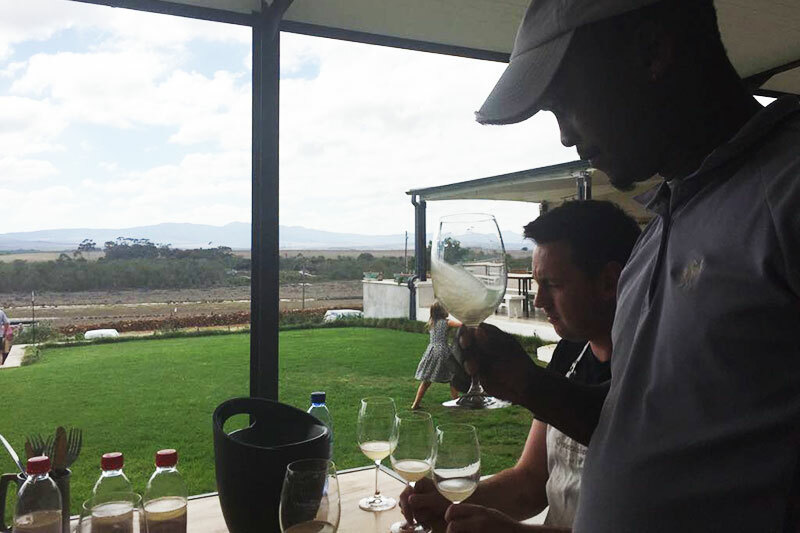 So put our high acidity and low pH together – and our Sauvignon blanc simply improves with time. This makes it very different from many other wine-growing areas in South Africa. We peak later, and last longer. So how are our three Sauvignon blancs showing now? 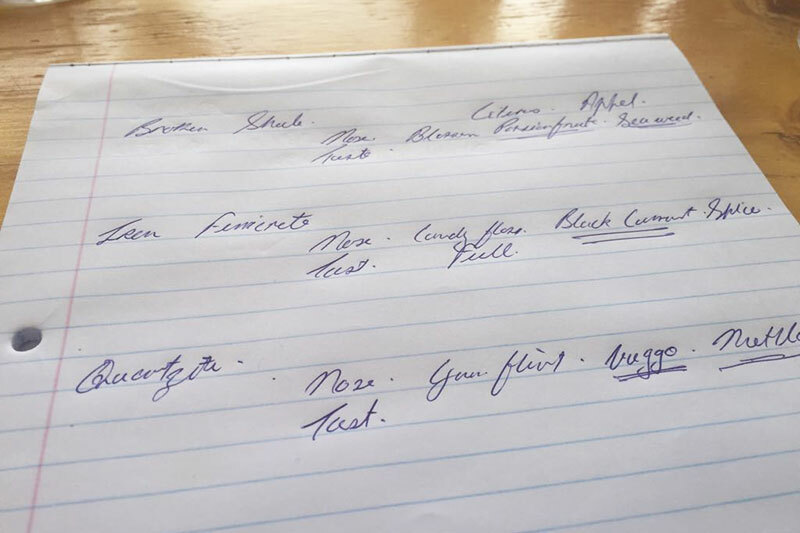 We’ve called together the Black Oystercatcher team and tasted our 3 Sauvignon blancs today. So far they are showing great quality and we’re super excited with the results. From the broken shale we’re picking up stong apple, citrussy flavours while the quartzite shows gunflint, buchu and that smell when rain falls onto dry land. For now the koffieklip is our favourite, giving us strong perfumy, spicy flavours with a complex, lingering mouth feel. 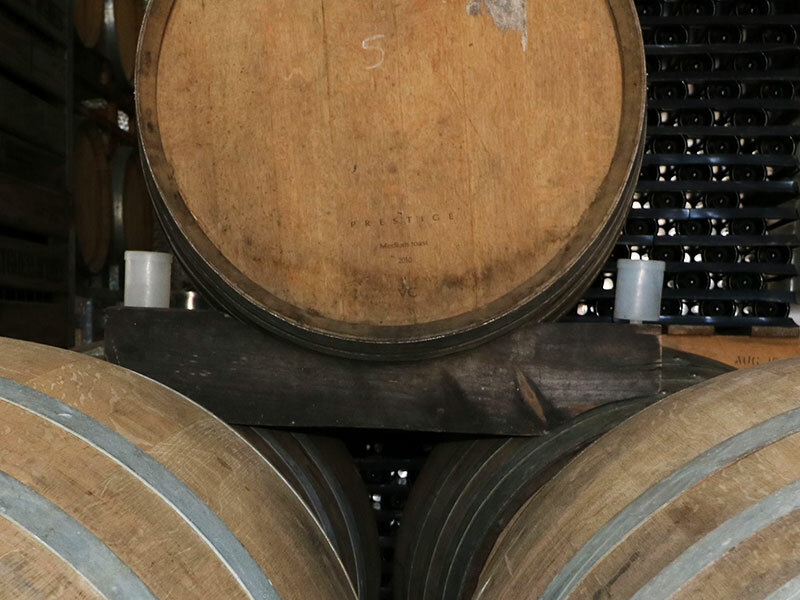 Our three Sauvignon blancs will now continue to age in barrel for a few months. And then, the action kicks in again: it’ll be time for bottling and labeling.